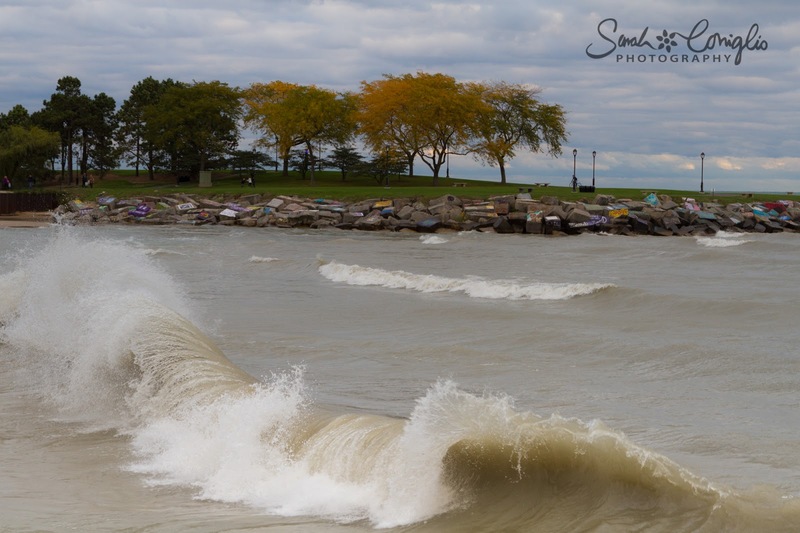 Sarah Coniglio Photography: 2016 Photography Challenge: OCTOBER = Autumn Colors. 2016 Photography Challenge: OCTOBER = Autumn Colors. I knew the minute I pulled into the parking lot at Northwestern University with my friend Erin that this would be my October capture! The scene was everything that you would imagine on a fall day... slightly crisp air, a wind that made the Lake quite ferocious and the colors of beginning of the leaves changing. I loved the rocks as well that add to the color of the brown/orange undertone of the water.